The Gilmore Girls revival—subtitled A Year In The Life—is still in production, with or without First Lady Michelle Obama. And it looks like the A.V. Club’s cast list needs to be updated, because another guest star has just revealed herself. 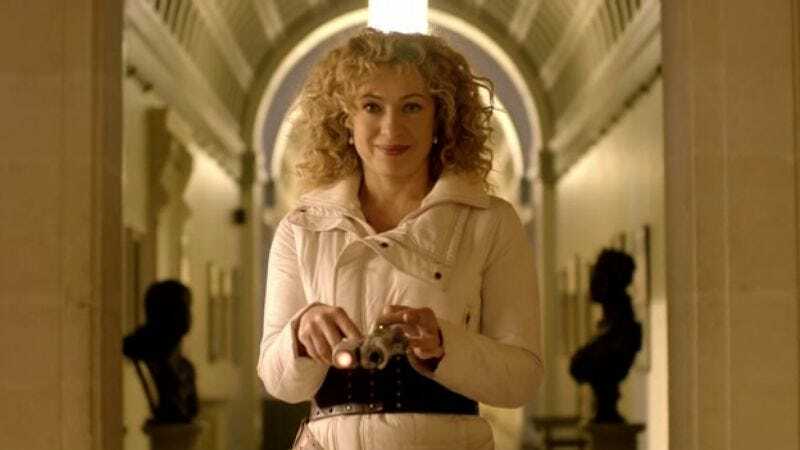 Alex Kingston, of ER and Doctor Who, has confirmed that she will appear in the revival series. While speaking at Florida Supercon, Kingston told an audience member that she’s playing a “very eccentric character,” which means she’ll fit right in at Stars Hollow. The Arrow actress also reminisced about her time spent on a Gilmore-adjacent set, where ER was filmed for the most part. But Kingston said that she shot her revival scenes “on location” and not the studio lot that houses Stars Hollow, but wouldn’t reveal much else, possibly because she shares River Song’s anti-spoiler beliefs. Her spoiler-averse nature even made her reluctant to use Alexis Bledel’s first name, lest viewers realize they aren’t actually spying on someone else’s quirky and verbose life.